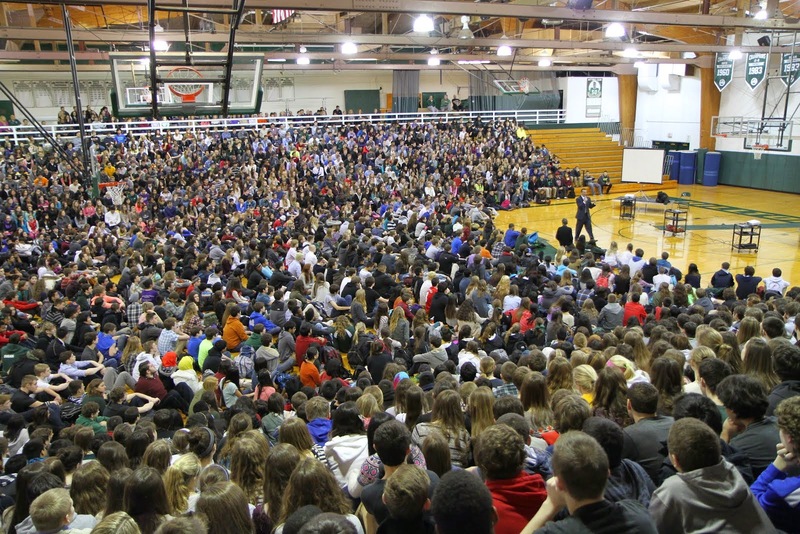 Students and staff celebrated Live Life Well Week February 15th-20th at the Glenbard schools. Live Life Well Week seeks to develop emotionally intelligent learning environments which are foundational to helping students lead productive, healthy, and fulfilling lives. The goal is to help students recognize and understand their emotions, advance positive relationships, and develop responsible decision-making skills. It is designed to raise awareness and assist students to face challenging situations constructively, manage stress, and increase their emotional and physical well being. 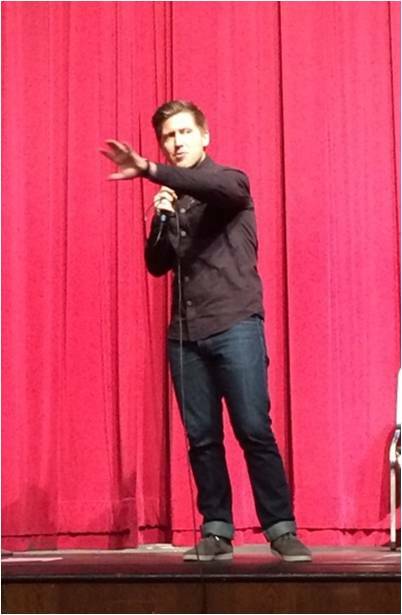 A highlight of the week was a presentation by author and television personality Josh Shipp. He shared his personal story as he motivated students to “Be Your Own Best Self", which was this year's Live Life Well Week theme. Glenbard West senior Justin Chhoeun enjoyed Shipp's humor and his ability to move on from the hardships of his early life. "What a great message for all students. Just because you failed doesn't mean you are a failure. This inspiring talk made me laugh and think"
Parents had the opportunity to hear Shipp at the Glenbard Parent Series workshop on February 18th at 7:00pm when Shipp presented "Helping Adults Understand Teens and Teens Understand Themselves". 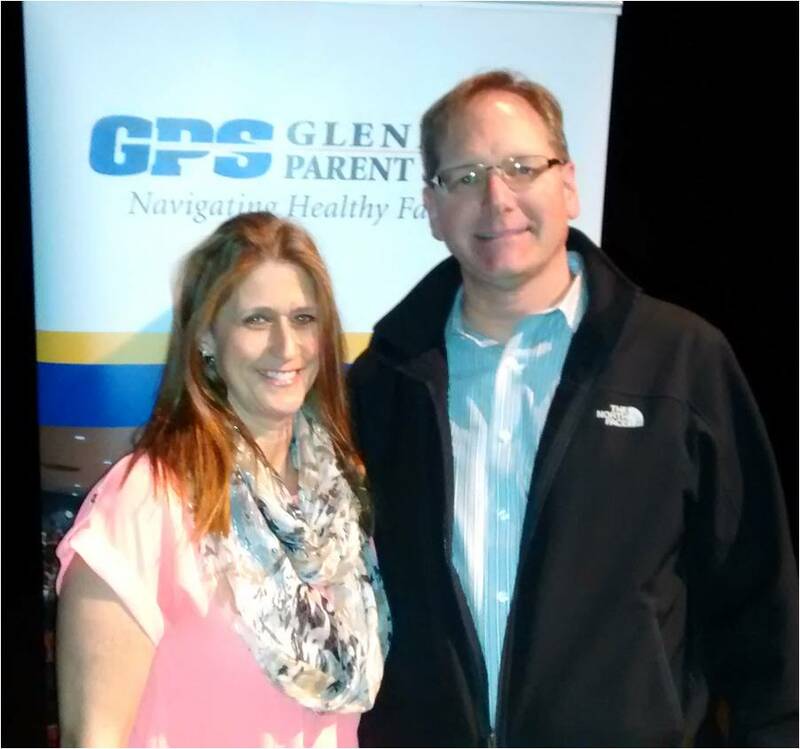 Scott and Cyndi Chalus Glenbard North parents shared their away from the Josh Shipp presentation on Feb 18 entitled Understanding the Human Teenager. Every kid is one decision away from being a statistic, and one caring adult away from being a success. Be that caring adult for your child and any other child that might need you. As parents of a teen shift your role to that of a coach. Be human, we don't need to be perfect. Avoid repeating yourself, you are teaching your child not to listen. To build trust with your child spend-TIME with your child. "I want you to know that my sophomore, Maggie Andres who goes to South, came home yesterday and first thing she told me "Mom, we had this awesome speaker today who was simply amazing! We have lots and lots of speakers who usually give you depressing information and it is good that they are sharing this awful thing that happened to them, but it ends up being so sad. Josh was really upbeat and just focusing on the positive--you should go to hear his talk tonight for the parents!!!" And then we talked about it at dinner too. She was telling our 8th grader all about him. Thank you so much for providing so much social and emotional learning for our kids. 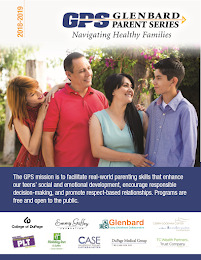 It is essential, so essential that our kids are hearing from these experts so that they can have these conversations on their own as they learn how to solve problems, how to reach out, how to interpret emotions and relationships." Josh Shipp's "Every Kid is One Caring Adult Away from Being a Success"
http://Freeteenhelp.com free resources to help parents.